Since 2005, Peter and Company has been published right here as a free-to-read online comic. 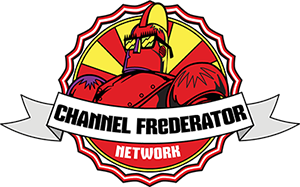 Over the years I have always wanted to push into the realm of animation, and now, thanks to a partnership with Spark-Flow Studios and the support of the Channel Frederator Network, that dream finally has a chance to become reality. We are working together to produce a 10-12 minute animated pilot episode for Peter & Company, with the intent of pitching it as a new animated series to major networks. The project was successfully funded via Kickstarter in May 2012, and upon completion the pilot will be distributed for free online via Youtube and Channel Frederator's catalog. We do not have a set timeline for its completion, which is actually a good thing: this gives us the opportunity to take our time, do multiple tests, polish everything up, and make sure it is absolutely perfect. animated series through the Peter and Company Tumblr! All pre-production artwork, character sketches, animation tests, storyboards, and other behind-the-scenes pieces will be posted to the above Tumblr account. Bookmark it or add it to your watch list if you have an account yourself, and help spread the word! To everyone who donated to the project and helped to spread awareness of the campaign while it was going on, Whitney and I would like to thank you all once again from the bottom of our hearts. To see this pilot episode coming to fruition is more than just a dream come true. It proves to me that there are a good number of people out there who read and legitimately care about the future success of Peter & Company. In our eyes, you guys are truly some of the most awesome people in the world.